Celebrating 70 years of Mission, Love, and Reparation | Walk with us! As my pastoral experience in Brazil continues, I have the privilege now of being at the Instituto Meninos de São Judas Tadeu (The Institute Saint Jude Thaddeus) in São Paulo, which is one of many Priests of the Sacred Heart ministries in this province. The institute was founded in November 16, 1946 by Father João Büscher, SCJ, who was pastor of the parish of Saint Judas Thaddeus. It was administrated by the Little Missionary Sisters of Immaculate Mary untill1949. It was in 1950 that Father Gregorio Westrupp, SCJ, took over administration of the orphanage, which in 1954 took the name it is known by today, Instituto Meninos de São Judas Tadeu. After his death in 1983 and as I have myself experienced, Father Gregorio has become an example of dedication, hard work, and reparation. Many people display a beautiful devotion to him and pray to him for his intercession for many different needs. As I have learned more about Father Gregorio, I have found that he truly lived our Dehonian charism of reparation by living among those who are at risk and vulnerable. Since its creation, the institute has experienced many changes and many challenges. 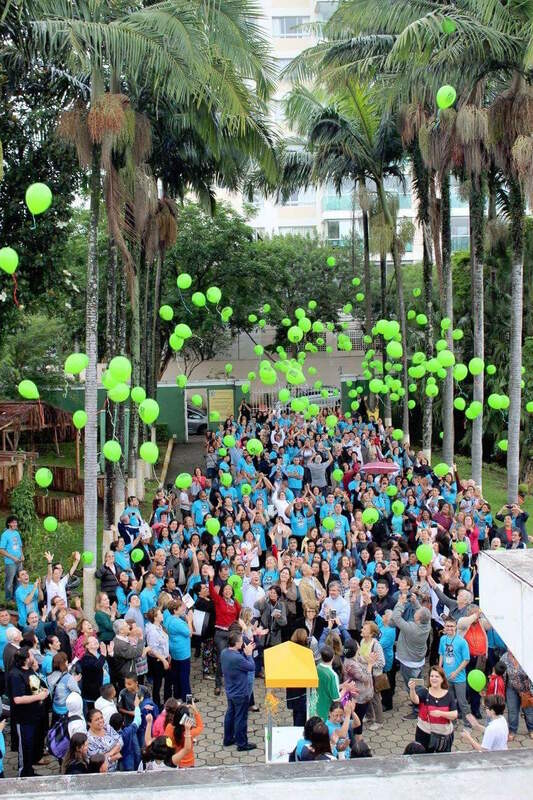 It began as an orphanage but in 2006 the institute had to change its work as a response to the law in Brazil and also as response to new needs of the people. However, something that never has changed is its ideal of bringing to all people a restorative love by embracing, protecting, and educating babies, children, teenagers, and young adults. During all those years of service, the institute has helped millions of children who found a safe place to grow. The institute did that not only by providing food and shelter but education and caring and love. 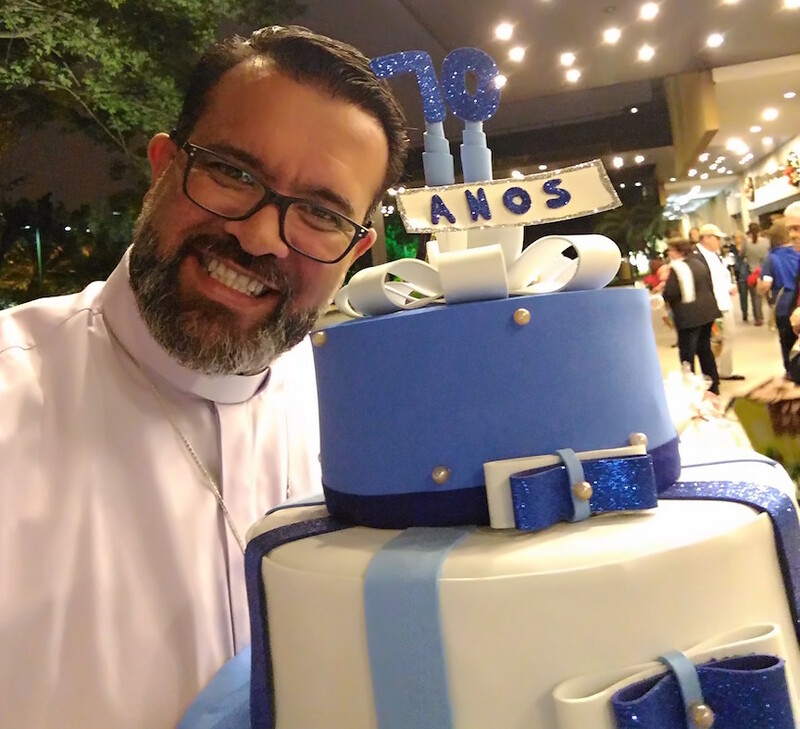 Thus, I had the privilege to be present for the celebration of 70 years of service of an institution that was inspired by God in the heart of a man who, just as Father Dehon, was not indifferent to the needs and situations of his times and decided to be an instrument of reparation for the little ones. But it would not be possible to continue this amazing mission if we as Dehonians did not have the support and dedication of our 320 workers and many other volunteers who give their time, dedication, and helping hand to the work of this mission. I am amazed and happy to see how each person who is part of this mission fully lives out the Dehonian charism of love and reparation. And of course and just like any other of our Dehonian missions and ministries, it is because of the support and giving hearts of our benefactors who believe in us and our work that we are able to continue with them. This mission exists because we as Dehonians, as well as everyone who works with us, believe in a great love that can heal and repair broken hearts. This is how each one of the kids and young adults that we help are experiencing the greater love of God through us. They are the fruits of those seeds of hope and love that the institute plants and helps to grow. Today the Institute serves 2,165 babies, children, and young adults and in over the 70 years of service it has helped millions of children. It is always nice to talk with people who come to the institute for mass, bring a donation, or ask for a blessing. Many of them speak very well of the mission of the Institute and they speak nicely about Father Gregorio and his legacy. I have to say that everyone really puts their hearts into this mission and always are super-welcoming. It has been a real pleasure to share my time here with them. Today I feel blessed to be part of this mission, sharing, and learning every day about the acts of love and reparation given through the institute. This experience really gives me joy to see in the faces of all those children the joy of our mission, the legacy of Father Gregorio, and the love of God. Happy anniversary to the Institute Saint Jude Thaddeus and congratulations not just to all the SCJs here but to our workers, volunteers, and benefactors who, with an open heart, work in our mission of love and reparation. This entry was posted in Frater Juan Carlos Castañeda Rojas, Uncategorized. Bookmark the permalink.